We are looking for volunteers to help serve breakfast to the Get on the Bus families who will be traveling from as far away as San Diego to San Quentin on Friday, June 1. Family members will be visiting their incarcerated fathers; some families have not been reunited for several years. 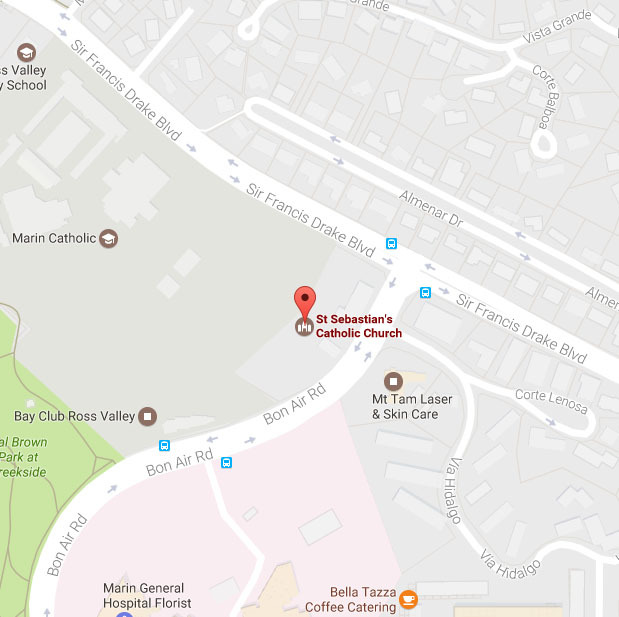 The breakfast will be held at San Sebastian's Church Hall at 373 Bon Air Road, Kentfield, CA off of Sir Francis Drake Boulevard next to Marin Catholic High School. Volunteers need to arrive at 5:30 am to help set up, serve, and clean-up after families leave for San Quentin around 7:30 am. If you are interested in helping, please contact Cathy and John Kalin at kalincathy08@outlook.com or (415) 812-3212.